Will the family takeover managing the team? I do hope so. He was such a quality owner. Jody Allen his sister is his closest relative I wonder what her interests are in his enterprises, this will be a confusing several months with some trepidation of the outcome if things get split up, he has interest in multiple companies as well as the Seahawks, Blazers and Sounders. It aint good news from what I can tell. Now, there’s some debate as to what will happen to the two sports franchises Allen owns: the Seahawks and the NBA’s Portland Trail Blazers. Allen had no spouse and no children to leave anything to. Allen’s sister, Jody Allen, is vice-chair of First & Goal Inc. but as of Monday, it was unclear if she would want to take over ownership of the Seahawks and Trail Blazers. A report from SportsBusinessRadio stated that Jody Allen does not want to own and run the teams and that Paul Allen’s estate would look to sell the teams. Seymour wrote: It aint good news from what I can tell. Oh goodness. Well this could be it, for the next few months several billionaires bidding to buy the Seahawks. Whatever happens, it is going to be VERY difficult to find a better owner. Mr. Allen left some VERY big shoes to fill. I would cancel my season tickets. This could end up Mariners bad where an ownership group buys the team it is it left leaderless for decades. I doubt it, Mariners have been a mess since forever, Seahawks have their own Stadium, The VMAC and Practice Facilities and make Money and are relevant. I would think that there are people chomping at the bit for a chance at what Paul built here. I could see his sister, Jody Allen running the Seahawks. I heard she is a fan. Definitely could see the team being put up for auction. I wonder if someone like Hanson would buy it? Jeff Bezos perhaps? Though I don’t know if he is into sports. I don't know who will step up, but I don't think it will be sold to someone who would consider moving. Paul Allen loved Seattle. That would be a betrayal of his memory. Jody Allen could step up to the plate and let high-level Vulcan employees handle the operations if she isnt into the management aspect. Other than that, if team is sold, I think best case scenario would be an ownership group led by someone like Chris Hansen with deep Seattle ties. Would the Nordstrom family be interested in owning the team again? oldhawkfan wrote: Would the Nordstrom family be interested in owning the team again? I'm not sure they could afford it anymore. Russell Wilson could quit his day job as QB and step right into ownership, which he said he always wanted to do. I personally hope former Great athletes of the Pacific NW get together and build/join an ownership group. I'm thinking Detlef Schremp, Bradon Roy, ... etc. I refuse to panic until/unless there is reason to. I have to believe Paul made plans that will work out for the team. I haven’t gotten over the news yet. This thread truly has my stomach upset. The possibilities are endless, and I can’t think of one that won’t be somewhat worse that what we’ve learned to enjoy. From an “ownership” standpoint we’ve been spoiled. I pray that it’s someone that will want to continue vs create something new. Does anyone know Chris Pratt’s net worth? Pandion Haliaetus wrote: Does anyone know Chris Pratt’s net worth? Yeah, right. Chris Pratt's net worth is $40 million. The Seahawks are valued at $2.5 billion. Steve Ballmer would be my ideal choice. He’s the wealthiest owner in all four major American sports with a $38.7 billion net worth. He tried his damndest to keep the Sonics in Seattle and even pushed for relocating the Kings to Seattle before ultimately agreeing to purchase the Clippers and to keep them in L.A. (where they will perpetually play second fiddle to the Lakers). Beyond his wealth and philanthropy, Ballmer is just a great guy and an incredibly passionate sports fan. I couldn’t imagine a more ideal successor to Paul. "The Seahawks are one of his greatest legacies". Um.. Have you looked at his laundry list of accomplishments? Winning a SuperBowl is great and all, but man has that guy built up one of the most valuable companies in the world. He also did a ton in the way of brain research, and cancer research. The Seahawks rank near the bottom of his accomplishments, which is saying something. The guy was a resonance man who turned everything he touched into gold. As far as Paul's family is concerned, he only has one family member alive that I am aware of -- that being Jody Allen. He was not married and did not have kids.The fate of the Seahawks is in but one person's hands, Jody Allen's. Would not be surprised to see her step up as owner. She has been managing all of his projects for quite some time, and some of that management may have tied in with the Hawks. She was the CEO of his Vulcan company since its inception. That being said it also would not be a surprise to see her auction off the team to the highest bidder to keep certain Vulcan projects going. We're kind of in a no mans land at the moment. We don't know what'll happen. The Chargers owner Dean Spanos has also passed away. That could lead to two west coast NFL franchises on the market at the same time. RIP, Mr. Allen. You will forever be one of my personal heroes, of which i have few. This is sad. This was the perfect marriage of city and owner. We are such a quirky fanbase, with alot of freedom to be the "12's." Paul Allen was the one who allowed us that freedom, allowed us to thrive as a base. I just hope whomever takes this over, understands and encourages this unique situation to live on. Man.......... I am going to miss Paul, the person and to a lesser extent, leader of the 12 family. 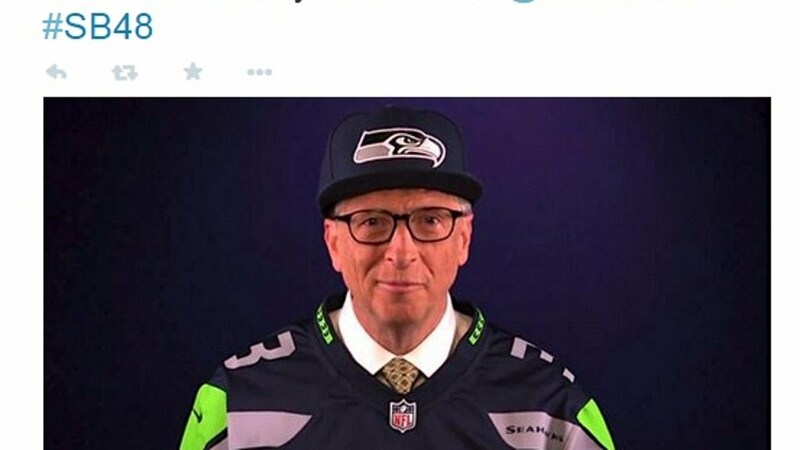 Bill Gates would make sense to buy the Hawks. A buyout by a group would be a disaster . Too many cooks spoil the broth. But he's a guardian of the galaxy and you can't put a number on that. It would be so easy during a rebuild/retool. Just a snap of the fingers. Groot would be a monster at DE. It’s unlikely, but if they were to sell the team, it’d be cool if they followed the Packers’ model and sold it to the fans. Edit: Just researched. Seems current NFL policy is that there can be a max of 32 owners of a given team, and one of them has to own at least 30%. The Pack was grandfathered in with their ownership model. Last edited by sc85sis on Tue Oct 16, 2018 6:46 am, edited 1 time in total. The team's not even for sale and we are speculating who the next owner will be? Jumping the gun a bit I'd say! Paul Allen got rich from Microsoft but got richer by protecting his investments and making solid financial choices. I can guarantee you that there is already a plan in place to keep this team thriving. The seahawks were a very small piece of the puzzle in Allen's overall portfolio, give it time and it will be more clear as to what he envisioned happening with the team. My bet.....Vulcan will manage ownership of the team. The primary goal of Vulcan right now is to protect the estate. I see this as good until the team needs to spend more on improvements or coaches or even opening the wallett for particular players. When teams are ran more like a business that means more people are involved in decisions and once the money shrinks a little so will the investment. Only time will tell. SpokaneHawks wrote: Paul Allen got rich from Microsoft but got richer by protecting his investments and making solid financial choices. I can guarantee you that there is already a plan in place to keep this team thriving. She is going to sell both teams. PlinytheCenter wrote: She is going to sell both teams. That is a pretty serious comment that looks to be stated as fact. Why on earth post that with no supporting information? Obviously anything right now in regards to this topic is pure speculation. My hope is that Jody keeps the Hawks and keeps the already highly functional chain of command internally in place. Nothing ruins a franchise quicker than a new owner that cleans house and thinks he/she knows better than the already smart savvy people running the team...........and drives it right into a ditch. Just a gut feeling, that's all. We'll find out shortly I suppose. Whatever happens, it will have to be with the approval of NFL ownership. They liked Paul, and I doubt they'd have any interest in the team moving. The Seahawks have a Worlwide following, which means jersey sales and money for the NFL. Are they going to want to shoot themselves in the foot buy starting all over? Especially with the pissed off Chargers and Rams fans already venting their frustrations? The reaction to a Seahawks move would be extremely negative because the team name would likely change and there is no following for a newly named team like there is for the Chargers, Rams, and Browns. And what big city fans would follow this team with a new name after dissing on it for years and seeing it get screwed time after time? "Don't move them here, give us an expansion team instead." Paul Allen was the perfect owner. Abundantly rich, but humble and kind. He had a passionate interest in the team, but he was hands-off unless he needed to step in. You can't find a better combo than that. ivotuk wrote: Whatever happens, it will have to be with the approval of NFL ownership. Add the Raiders fans to that too. Rumor has it they may be tearing down as part of their move plan. I don't think anyone's thinking the team would move with a new owner. Even if the team's sold, the new owner would be an idiot to move the Hawks. Affluent city, insanely loyal and amazing fanbase, great stadium, THE best practice and training facility in the entire league. There literally isn't one good reason to move a team like the Hawks...............and BECAUSE of Behring the NFL owners created the Behring Rule where it requires a 3/4 approval vote to move any franchise. Ding ding ding, Sgt Largent for the win. It would make no sense for the NFL owners to let the team move. St louis was too small a market. San Diego and Oakland dont pencil out (sucky stadiums for one thing.) Moving is unlikely, now inept new ownership...yikes. Mariners...ugh. At this point we don't even know if the Seahawks were left to Jody Allen. From what i've read from Vulcan there is a plan in place for the team and I'm sure it absolutely enforces no move. And it's not like there is a better market that needs an NFL team. Seahawks represent the PNW and its in the leagues best interest to have a franchise in such a large corner of the US. Seattle's proximity to Canada also means the Hawks have a huge following in Canada with the second largest Canadian city a mere 2 hours away. That's a lot of revenue. My hope is that Paul's sister does stay involved and is able to convince another tech billionaire to form a stable partnership that ensures the team remains in Seattle and is focused on greatness rather than just lining the owners pockets. That was Paul's greatest asset. He didn't care about the money he could make off the Seahawks. He cared that the team won and understood that the best way to do that isn't to meddle incessantly but to find the best football minds and hire them to do their thing.